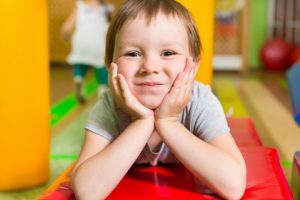 Leaving your baby, toddler, or child of any age at a day care can be scary, especially when it’s new and unfamiliar. With the school season starting, you might be searching for a new school for your little one. ‘Lil Rascals Academy has four locations in Broward County including Davie, Cooper City, Pembroke Pines, and Weston. Touring day cares can be overwhelming when you’re unsure of what to look for or what to ask. So our team of teachers and child providers has a few suggestions for you. Knowing what your child will be up to throughout the day can make it a little less worrisome for you while you’re away. Ask about our hours, what activities we’ll be participating in, when nap time is, when snack time is, what materials we will supply and what you will need to bring, and if you’re dropping off an infant, ask about diapers and what their schedule will look like. Maybe most importantly, if you’re in need of preschool programs or early learning, ask about our curriculum. 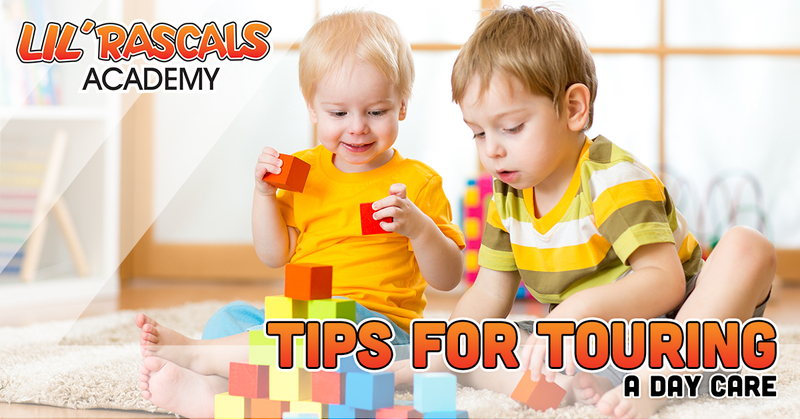 Possibly the most important aspect of a day care that will provide you peace of mind is knowing that your child is looked after with love and care. This is made possible when there is an appropriate child to teacher ratio. When there are too many children at the facility, it could mean that children are not getting the attention they need to get a proper early childhood education. Day care and part-time day care for older children commonly means dropping your child off at the facility and they still need transportation to school and back to the facility after the school day is over. Managing this dropping off and picking up schedule can be overwhelming for parents, or maybe not even possible with their own work schedules. If you find yourself in this situation, make sure that the facility provides transportation to and from school. If there is transportation, ask about safety procedures they have in place. Speaking of work schedules, it will be crucial to know the policy regarding sick children. When will a child be required to stay home? Will the teachers give children medicine? If a day is missed due to an illness, will you be required to pay for that day? Keep in mind that you might be OK if your child stays at school with a runny nose, but that means other children will be there with runny noses as well. Sickness can go both ways. Parents who are new to the day care process might want to drop in and see how their little one is doing, but some facilities don’t allow this to prevent disruptions. If you’re prone to popping in unexpectedly, ask if there is a policy concerning this. Starting a new school can be scary for parents and children. Overall, make sure that you and your infant or child are comfortable at the day care. If there is anything that you are unsure about, move on! At ‘Lil Rascals Academy, we want every parent and child to feel safe and know that they are getting a great early education. Feel free to drop in or give us a call today to schedule a tour.